India has overtaken most countries and is now second to the States when it comes to Luxury Retail segment. The luxury market in India is at a boom and is growing at a fast pace. The spending capacity of people in India has grown at a tremendous rate. Despite the fact that online shopping has become incredibly popular amongst people however, when it comes to buying anything luxurious, people usually favor to touch and feel the products and then make the decision of buying it. It not only pertains to automobile and telecom sector but also retailing of luxury brands of clothes, footwear etc. Luxury can be demonstrated as not just buying labels for status, but buying beliefs which are high quality, ethical and offer innovative crafts. Today, one size no longer fits all. It is about providing the audience with something that matches there personality and make them feel a certain way. It has come a long way in that aspect. The entire shopping scenario is changing and luxury products are favored more and more day by day. People are changing in what way they want from luxury standpoint today. It’s no more just about great cloth quality, fit and silhouette but also about the kind of experience, guidance and comfort they get when they visit the store. 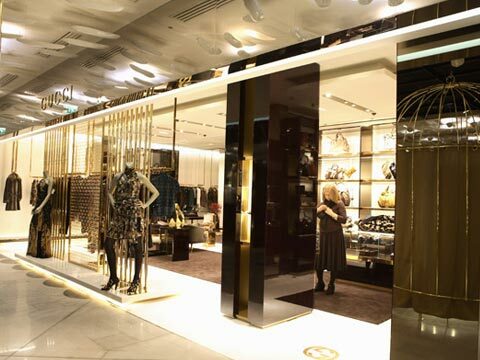 Over the decade, the luxury retail segment has come a long way and has evolved and gained importance and success. There are many brands that have entered the Indian market, few have left and few re-entering. The expansion of retail sector has been a major growth driver for growth in India.The Indian retail real estate market has witnessed continuous footprints of global brands coming in India. According to CBRE research study where it analyzed more than 300 prominent and renowned global retailers, found that mostly International retailers opt for opening their stores in major metropolitan cities such as New Delhi (79%) or Mumbai (68%), before gradually expanding and escalating to other tier one locations, including Bangalore, Chennai, Kolkata, Hyderabad and Pune. Some of the major reasons for the prosperity and growth in retail industry pertain to higher level of disposable income and the growth of middle class consumers. Today, due to increase in literacy rate has resulted in growth of income among the population. This increase in income has resulted in demand for better quality luxurious consumer goods which has led to evolution and expansion of retail structure. Today, people are willingly trying new things and want to look different, which has increased the spending habits among consumer.There’s no denial that the expansion in retail industry has been more in this following decade. There has been a continuous practice where many global brands made a presence in India market, some have been able to survive and are enjoying decent market share whereas a few who couldn’t make a mark have shut as they feel that India market is not yet ready for them as of now. The demonstration of luxury retail industry growing owes a lot to do with the viral usage of social media by the general public, today most of the trends are set on social media. People are ardent users of social media platforms like Facebook, Instagram, Twitter. Today’s generation is well informed and they seek reviews before making a purchase, which has majorly impacted the positive growth in retail sectors.People today are more opinionated about how they want to be perceived in the society. Their preference is no longer just restricted to the color or fit, they now demand for an experience that’s larger than life, giving them a good overview of designs, more variety, guidance on the silhouette that are met well by the luxury retailers. Rise of consumerism has resulted in more knowledgeable and demanding customers. As the business exist to satisfy consumer needs, the growing consumer expectation has resulted in the demand for more organized retailing in India. This is one of the major reasons for the prosperity and ever increasing opportunities in retail sector. The current market scenario suggests that Indian Luxury retail sector has been steadily yet significantly growing. Increasing brand awareness and growing purchasing power of the upper middle class in Tier 2 and 3 has given birth to demand of such retailers in these cities as well. The most desirable and suitable format of entry for international brands is through franchise and joint venture. Diverse customer base of India calls for a huge opportunity to the international brands to cater to India market. Some brands are opting for tailor made collection, pertaining to India’s culture and environment. Corneliani launched new product for our customer “Court Suit” a limited edition 'India-specific' product – bandhgala – Made in India for such customers. Today, the trend is growing and more brands are providing customized products. This adaptation has been a major and significant reason in the evolution and expansion of the retail segment. Even though demonetization did cause a stir in the retail sector and there were certain bumps and speed breakers on the way. 2016 has been a year of fluctuating patterns in the sales. However today we have experienced 12-15% growth in business since we took over the brand. Indian market has accepted the brand very well and we have seen remarkable growth in terms of our clientele. GST has provided India a competitive advantage to India’s luxury retail sector. Since the new luxuries customers are younger, better informed and are exposed to global brands, hence sale is not the final destination, it’s just a start to the relationship with customers.